Our exclusive cover lifters make it so quick and easy to access your spa – Easier so you’ll use it more often, plus they keep your spa cover in its place, off the ground helping it to last longer. Making entry to your spa simple. 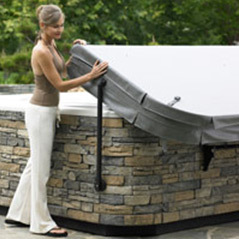 Helping to prevent unnecessary damage to your spa’s cover. Eliminating the need to drag off and pull on the spa cover before and after using your spa. 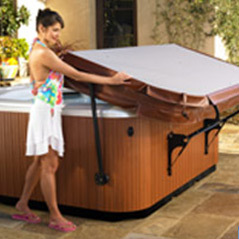 A Hot Spring cover removal system will increase the use and enjoyment of your spa. Dual pneumatic gas springs in the arms of this lifter make cover removal a breeze. This top-of-the-line CoverCradle system features a low-profile design and ultra-smooth gliding mechanism. Requires 24″ clearance. Similar in design to the CoverCradle, this lifter uses a single pneumatic gas spring and allows for smooth operation. Requires 24″ clearance. It’s easy to remove your cover with this economical cover lifter. Requires 14″ clearance. This system lifts the cover up over the spa bar top. It is ideal for limited clearance applications such as decks and gazebos. Requires only 7″ clearance. 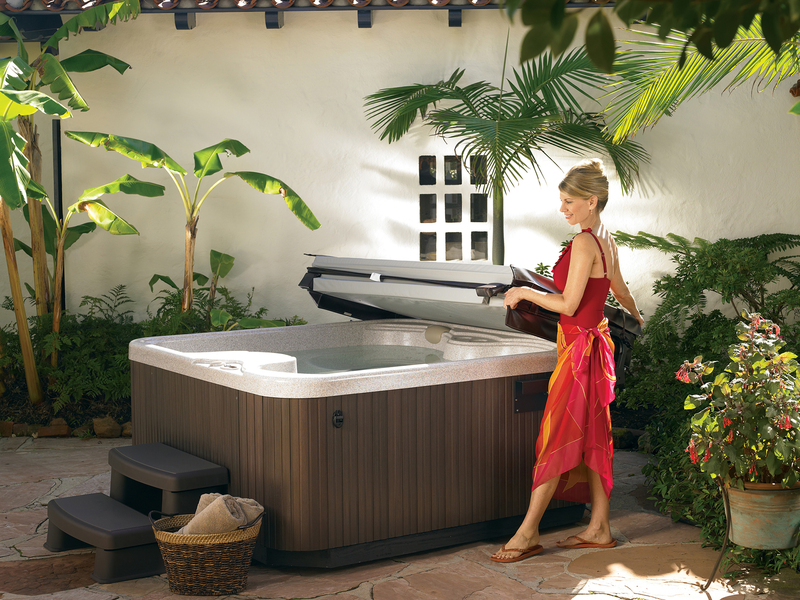 In addition to our outstanding spas, we make high-quality hot tub accessories that make your Hot Spring® experience even more enjoyable. From spa steps to easy-to-use water care products, each of our accessories has been designed to perfectly fit your spa.